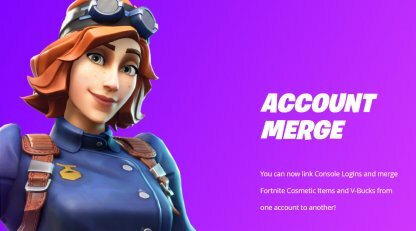 Account Merge is now available in Fortnite! Learn all about the new feature in this guide, including how to set it up, its guidelines, and how it works! Players with multiple accounts now have the option to combine their accounts into one with the new Account Merge feature! 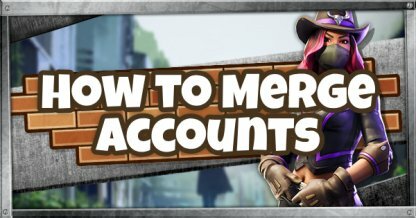 Unlike Account Linking, merging accounts will transfer cosmetic items and v-bucks between accounts. Account Merging cannot work between accounts from the same platform. It is a requirement that one of the accounts must be linked or played on the PSN. By merging accounts, the cosmetic items and available V-Bucks of the Secondary Account will be transferred into the Primary Account. Creative Islands, however, cannot be merged and will be deleted in the Secondary Account. Upon merging, the Primary Account will be linked to the console logins of the Secondary Account if there are any. This includes console logins for the PSN, Xbox Live, and Nintendo Online. 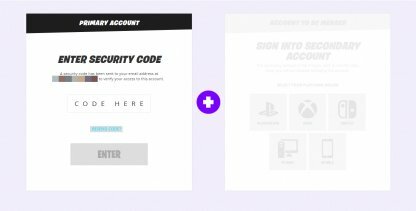 Account Merging can only be done from the Epic Games Fortnite page. There you will see the "Get Started" button to start the account merging and the guidelines and important info to understand before merging. Assign which account will be the Primary Account through the log in. 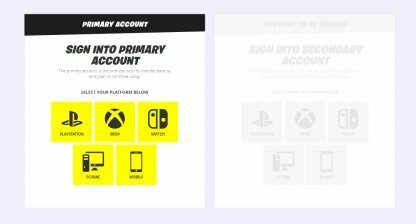 Remember that the Primary Account will be the merged account and the Secondary One will be disabled. Accounts that have been disabled or banned cannot be used to merge, regardless if it is as the Primary or Secondary Account. A Security Code will be sent to the email address of the Primary Account. Enter the code to proceed to the next step. Do the same steps for the Secondary Account. If you don't have an account linked or played on the PSN, it will give an error that the Merge cannot push through. If all details are met, the merge will be successful. 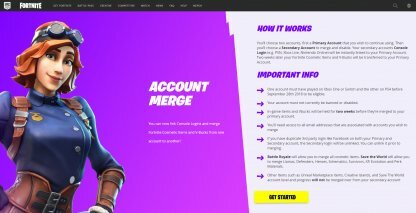 You won't get the cosmetic items and V-Bucks from the Secondary Account immediately after merging. It will take 2 weeks before the items will show up in the Primary Account.